As a litigator, I’ve been living with Bates-numbering, or Bates-stamping, for over 20 years. (I’m not the only one!) I have manually stamped documents using a Bates stamp. These days we Bates-stamp (not “Bate-stamp”) electronically, mostly. So, as a trademark lawyer, that made me a little curious. 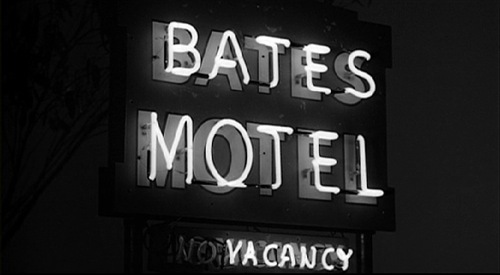 Because “Bates” sounds like — and is — a name, right? Proper name… a product… associated with one another…. what is that called again? A trademark, maybe? Does a trademark belong in the Adobe menu like that? 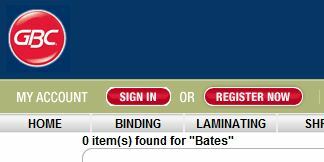 Well, BATES is a common enough name that I wasn’t going to read every single BATES trademark registration. (For free, that is.) So in running down this issue, I only read the live ones. I didn’t find anything. Strange, I thought. No one ever tried to protect the BATES numbering stamp trademark? Indeed, in the pictures of old Bates stamps I snagged off the Net for this piece, there is no indication of an effort to assert a trademark — an effort that, if applied diligently, would probably have been succesful. But I had to make sure… and, wait a minute! I had spied this version of the Bates stamp in several pictures. 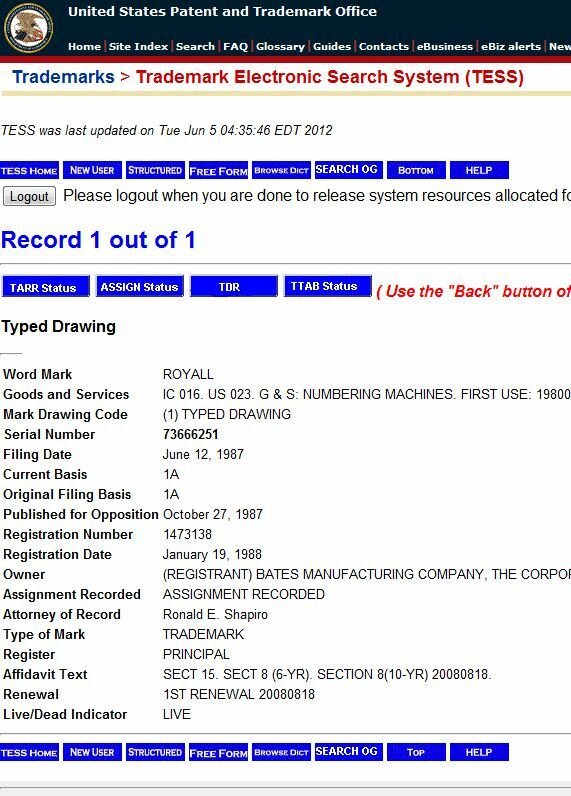 Finally, I found this clear shot of a Bates stamp bearing the mark BATES with a “circle-R” trademark registration symbol! Ah… Bates® … Royall®! Circle-R! You can in fact buy one even today. Not really, it seems. Or not quite. Why, that’s not a trademark registration for BATES at all! So it seemed clear: “Bates numbering” is indeed generic for Bates numbering — the placement of serial indices on images and documents, such as in preparation for document production in a litigation matter, and, historically, with a Bates stamp. This is a nice little article on Bates stamps, by the way, among all the ones I saw preparing this post. Tah-dah! Now Edwin Bates (per this Wikipedia article) knew a little about IP, or his lawyer did: He got three patents for his Bates stamp. No trademark, though? No, not “no trademark.” Well, not “no trademark registration.” Keep reading. Did you think I was going to rely on Trademarkia for this answer? OK, good: There’s that ROYALL registration; good control. And what have we here? BATES and BATES! And they’re live! Hm. Who’s General Binding Corporation? You know, the “Last Listed Owner” — the assignee of both trademarks? Oh, just a general binding corporation. It owns lots of trademarks. See, here’s the assignment document. Well, it’s actually eleven documents assigning 90 trademarks. The trademarks and the companies in these documents are, or were, all household names. Well, stationery-store names, anyway — a Hall of Fame of the pre-computer era of systems for organizing and binding paper and information: Acco, Swingline, Day-Timers, Velo-Bind — companies that sold what they sounded like. Even less. Go to General Binding’s website, www.gbcconnect.com. Good. Yes, of course there’s a search function. Do it: Search for BATES. Nope. There’s no there there. 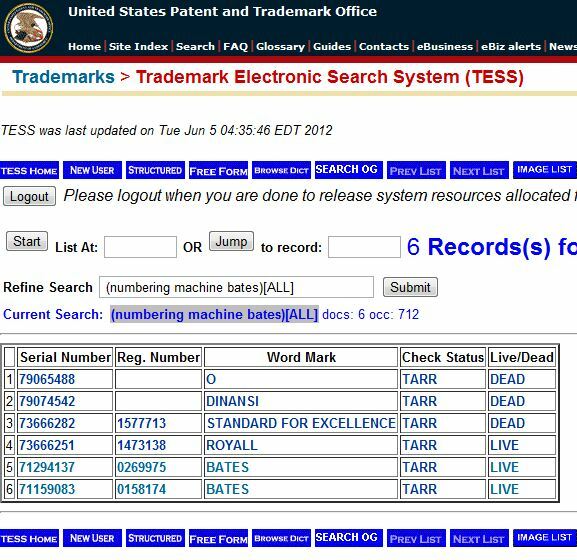 It looks like, yes, General Binding owns the BATES trademark registrations, but while no court seems to have ruled on the question, BATES for numbering machines, or more specifically for numbering methodologies or devices, is not a trademark. They may make Bates stamps over at “GBC” but they don’t hardly sell ’em. 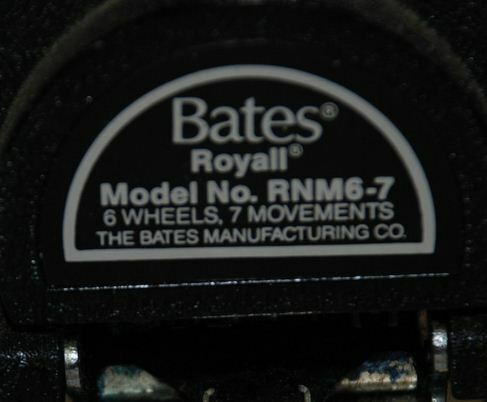 “Bates numbering” and “Bates stamping” are, however, used universally to describe… Bates numbering and Bates stamping. 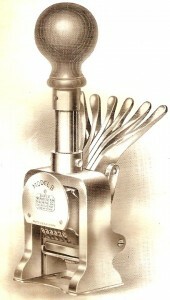 Bates numbers, Bates stamps. No matter how they get there. For Bates is generic. 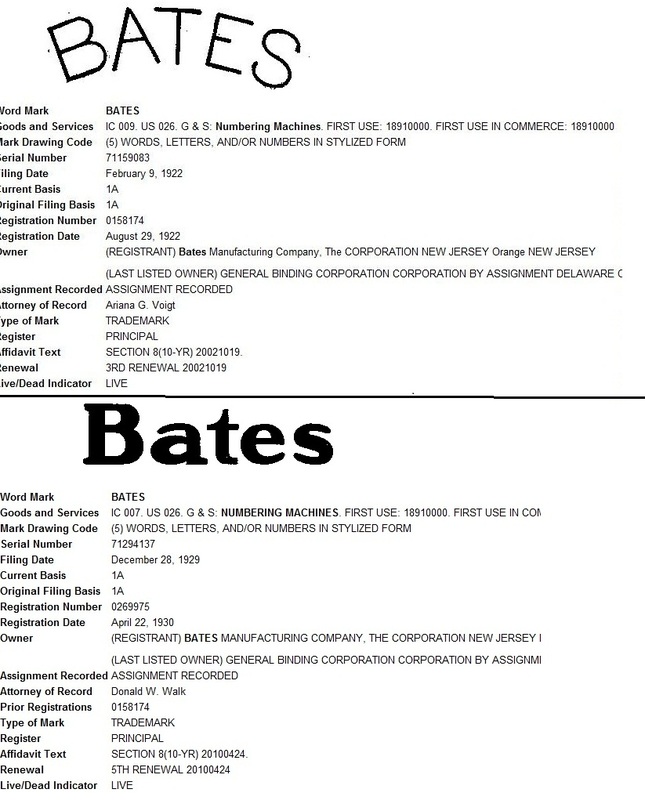 As a trademark BATES is dead, preserved ghoulishly in ancient wrappings — here, two antique, walking-dead trademark registrations — but dead, i.e., unenforceable, all the same. How did this happen? Certainly the technology has been eclipsed. But did it have to happen this way? Couldn’t the Bates Manufacturing Company and its successors maintain this powerful brand as it metamorphosed into the digital age? That would have taken some doing, but by all indications, very little was done for a very long time. In fact, all those old pictures of Bates stamps don’t show a circle-R or any other obvious assertion of trademark at all. 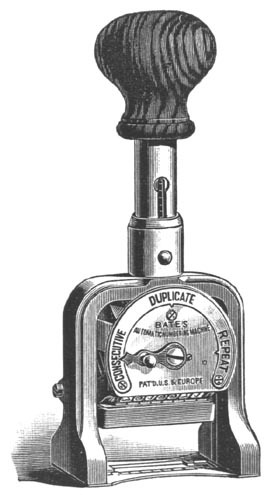 The ® after BATES was only slapped onto the “Royall” model after a century of utter brand neglect. 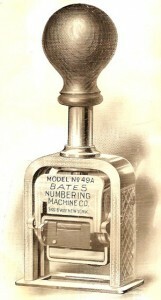 The generic use of “Bates number” and “Bates stamp” goes back decades or more. No one cared for BATES. No one, it seemed, really even tried. Why? Maybe the answer is in these papers at the Edison Museum that explains what happened at Bates or Edison, which was the first one that bought the company after considerable troubles. But maybe not. The bottom line is that BATES, from the trademark point of view, belongs to the ages. It’s in the dictionary. It’s yours, it’s mine, every bit as much as — or, probably more than — it’s General Binding’s. And indeed there is no need, when referring to a Bates number, to call it a “serial document identification number” so as to allow for the possibility that a genuine Bates mechanism or process was not involved in the process. 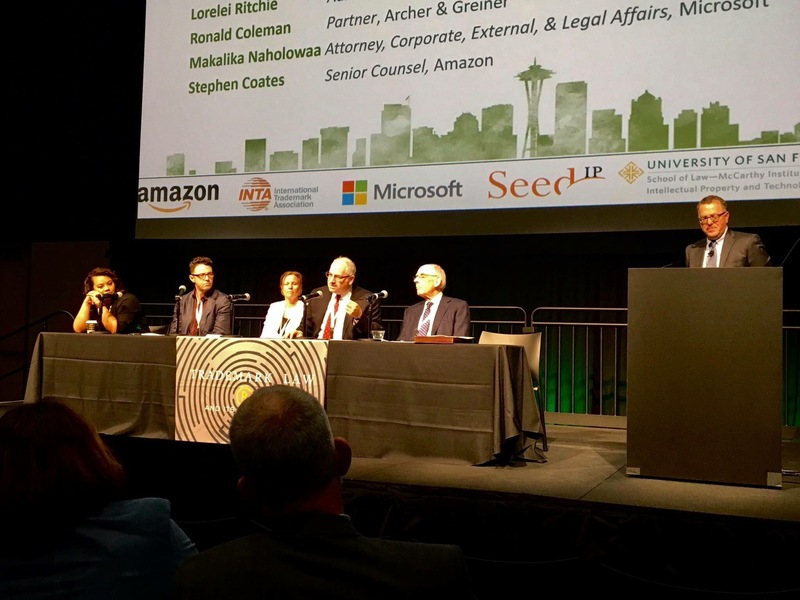 I didn’t make that one up: years ago I attended a deposition at which a lawyer recited that very formulation into a deposition in order to identify an exhibit. I once, very recently, put words very much like that into a report myself, not knowing then what I know now — but knowing that the time had come to answer this question. Of course, wise readers will know that I tipped off the answer at the beginning: I used “Bates stamp” as a verb, didn’t I? Like “to Google.” You can capitalize, you can register, but it’s generic. As you can imagine, getting to the bottom of this took quite a bit longer than I thought it would. Doing a thorough trademark search is not quite the chip shot some people think it is! For all I know, I’ve missed something here; after all, this is just for play, for the blog, for my intellectual curiosity and, if anyone else is reading this far, for theirs as well. If I made a mistake, that only proves the point. But here no one’s brand, or business, much less anyone’s hopes and dreams, were riding on the little uncompensated excursion into trademark archaeology I’ve taken this afternoon. 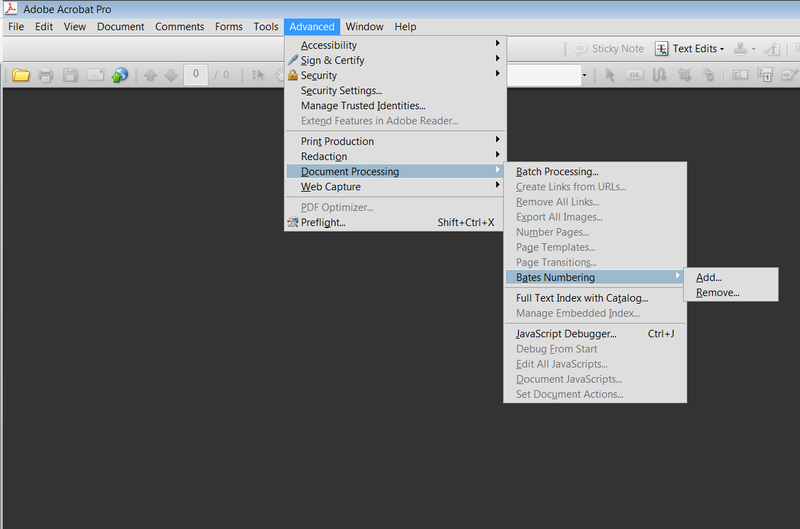 Certainly document production will never be the same. At least for me. UPDATE: More on the Bates numbering machine here. 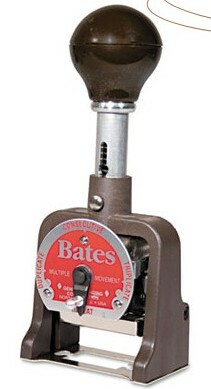 The Bates Manufacturing Company also applied for – and was issued – registration of its trademark BATES (stylized) claiming a date of first use since 1891 for “numbering machines” in Class 09 (Reg. No. 158,174, renewed in 2002) and in Class 07 (Reg. No. 269,975, renewed in 2010). . . . The company also owned trademark registrations in BATES for other products like ink pads and stapling supplies. However, it appears that these trademarks may be of limited value because in undertaking the research for this article, I found many sites marketing software versions of “bates numbering” programs (e.g., http://www.bates-stamp.com/), or offering to sell their services to manage the “bates numbering” process for litigants (e.g., http://lsilegal.com/web/Solutions/TraditionalSvcs.aspx). It appears that the mark “Bates” as applied to automatic numbering systems may have become generic for a system of automatically applying sequential numbers to documents. 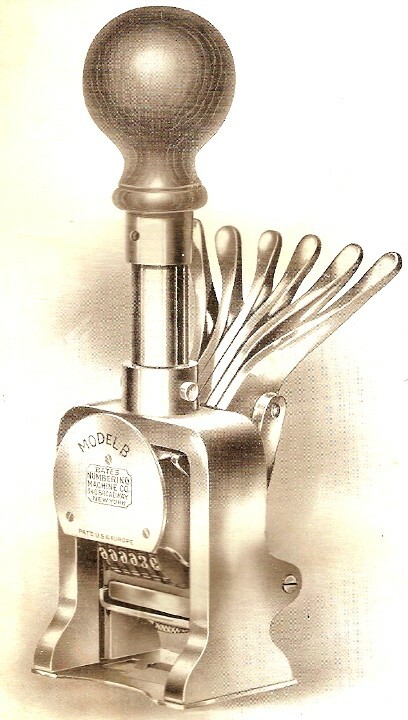 In this case, the trademark owner consistently applied its graphic label (which seems to be branded onto a metal plate) to the stampers themselves, by affixing it mechanically. . . . 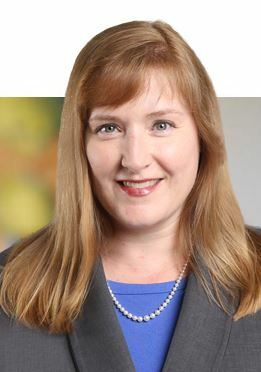 But, it apparently did not protect the mark (or the mark has lost its trademark value) in connection with sequential numbering systems or services to apply these types of numbers to documents, either in hard-copy or electronic form. The lesson to be drawn from this – when you create a unique name for a product (or service) and begin to use it in commerce in connection with that product (or service), plan ahead for the possibility that the technology in which you began using the mark will evolve into something new. At the very least, recognize that as your industry matures, your trademarks may change, even if the products or services themselves remain the same as they were when they were first introduced. While it may be wonderful when your brand name becomes a household (or lawfirm-wide) word, mark owners need to police the use of their marks to keep the their value from being undermined. Wow, what a wacky post!I share your initial skepticism and just might conduct my own “trademark search” on the matter. My first visit back to your blog in awhile, and I see my name all over the place! This is an interesting study in the genericization of a trademark. 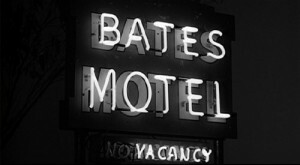 I’m no relation to the Bates stamp people or the Bates Motel people, as far as I know. I do own a handsome metal, cork-backed 15″ straight edge with the caption “BATES NATIONAL RULE,” which is my life’s ambition. Thanks for the detective work! I almost felt like I was reading a murder mystery. Alas, the Bates brand has been killed, but, not to worry, it’s still a part of almost every lawyer’s lingo.